Good Morning and Happy Thursday. I generally like to write my own post for things I have done. Sometimes I simple find someone who simple made a de-facto article which is much better then I could put together with the time constraints I have. That said, the blog.auth360.net blog is a breath of fresh air on the subject of 2012 ADFS. Why would anyone care or worse, read about ADFS? Well here’s the thing; Its a really solid proxy for Lync 2013. Many of you know this, lets I state the obvious. Ok really that was spontaneous, as exhibited by the low quality of the content. Ok back to business. So here is a full article with deployment and setup info on ADFS. There is another article on my blog for setting up ADFS with Lync. However, this link below chronicles a lot of the crap I had to go through, which I did not document. I would really like to have something like this next time I set ADFS up. Why? because once you set up the ADFS proxy for Lync, you will not likely have to mess with anything again. It is that solid. That said. I have had to re install rolls several times on the proxy. However that is a 5 minute job with the script to rebuild the settings. The ADFS portion is the one you only want to do once. This article provides information on how to Setup Reverse Proxy for Lync 2013 using Windows 2012 R2 Active Directory Federation Proxy. Hello, I wanted to send you my early results on setting up the Lync Proxy using Active Directory Federation Services for Windows 2012 R2. I have discussed writhing about this, so here is my first analysis on the new proxy method. Please let me know your feedback as you come across this beast in setup form. If you must use a a non UTM device, the IISARR and ADFS methods work and are simpler then TMG to setup. Before you start reading, I’m going to say I think ISS ARR may be the same function with less effort. However from the support stand point, the more moving parts becomes the most popular in our world. Below depicts my best effort to make your experience much simpler then mine was. 8. 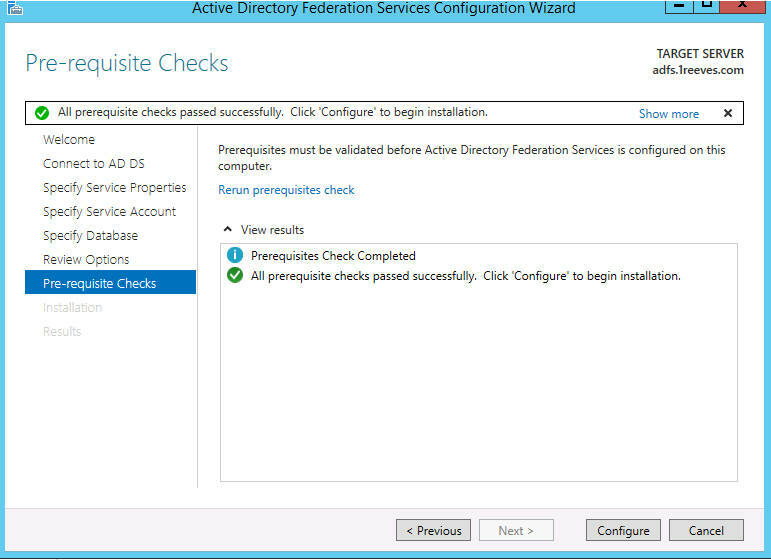 The federation service name is the same as the certificate name but the service acount is a unique name and cannot be the host name or the federation service name. Step 2 Setup your ADFS server. Now we have the ADFS server complete. 2 Install the Remote Access role- choose reverse proxy. 4. Blog.Kloud.com Also has a script to automate this if you are doing multiple IP URL combinations. That It. In conclusion, This is how you would set your Reverse proxy for Lync 2013 and External Web Services, Sadly at this writing, the Lync Mobility client is not working for sign in. Since everything else works, Including connections to port 4443 and 443, I conceder this solution successful. At the time of this writing, Lync, Exchange, and Remote Gateway can all work through this proxy connection. I will update this post once I determine why mobility is not working.